Although I haven’t officially mentioned this yet on the blog, I have been telling people in person as I get around to it, and the word is starting to get around. In case word hasn’t reached all 8 of my readers yet, my wife and I are in the process of getting a divorce. Today was the first Thanksgiving our little family of three wasn’t together in the same place. The girls went out of town, and I stayed here. I had no plan. It was the strangest thing to wake up this morning in the empty house, knowing I was going to be fine, and knowing I had several options of places to go – but yet, to wake up without a plan. So many weird things came to mind throughout the day. Not the hard, depressing things – those things have been processing in my mind for months, and are well along. Today I just kept thinking about all the “new” things; the “life is now different” things. As I was out and about doing stuff – going to get ice for my brother’s dinner (I called him and invited myself over) standing in line at Marie Calendar’s hoping to get a pie (I gave up), sanding an old desk I’m working on in the garage, etc., I just kept thinking – wow. So this is kind of the vibe to expect on Thanksgivings for the foreseeable future. Either Courtney will be around, or she won’t. Probably alternating years between me and her mom. Definitely not easy for her. I’ve turned into one of those guys I used to worry about when I was pastoring – those guys who don’t have a regular holiday plan, and who you call to make sure they have turkey. As I was at the store, or the gas station, or waiting in line at Marie’s, I saw various guys by themselves, and wondered… are these guys just on errands for the family, or are they guys without Thanksgiving plans like me? And if they’re guys without Thanksgiving plans, do their moms call them several times a week leading up to the holiday, making sure they have a place to have turkey? (Knowing my mom, maybe she calls them all herself). So life is moving forward. 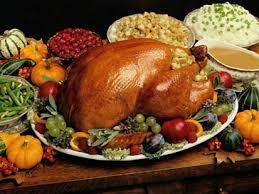 The First Thanksging has occurred, and in a few weeks we’ll have the First Christmas. We’re surviving, and learning to experience life a new way. This entry was posted in Blogroll, Family, Misc. Life. Bookmark the permalink. I actually did post George Washington’s official Thanksgiving Declaration on my blog – and thought, “What the…………?? ?” when I read your opening line. ( I connect to yours from Joann’s Blog). This was my fifth such Thanksgiving and it’s comforting to know other folks are having those same thoughts standing in line…..hope your brother sent some turkey home with you (and no, your Mother didn’t ask me to say that, although MY son would make the same comment regarding the phone calls about me.) – The Lovely Miss Courtney will need a turkey sandwich when she gets home! Hang in there! Yup, sometimes those “Firsts” can be pretty challenging. Life will be different but in time God will make it sweeter and brighter than you ever thought possible. Yes, it’ll be different…but am learning that as life changes and people come and go in our lives (not to be the least bit glib because the loss of people is unavoidably painful whatever the reasons are for their absence) life can still be amazing, intimate, joyous and abounding in grace and contentment. This was one of the first holidays I remember in a long time where I was truly able to be “in the moment” and simply enjoy and appreciate who I was with and not be so side-lined by varying degrees of grief. Sweet memories mingled with creating new ones… profound to say the least. I pray only that and more for you, my Brotha! Wishing you all the best as you move forward.